Followers of Jesus must support one another, correct one another and stand firm in the face of opposition with integrity. 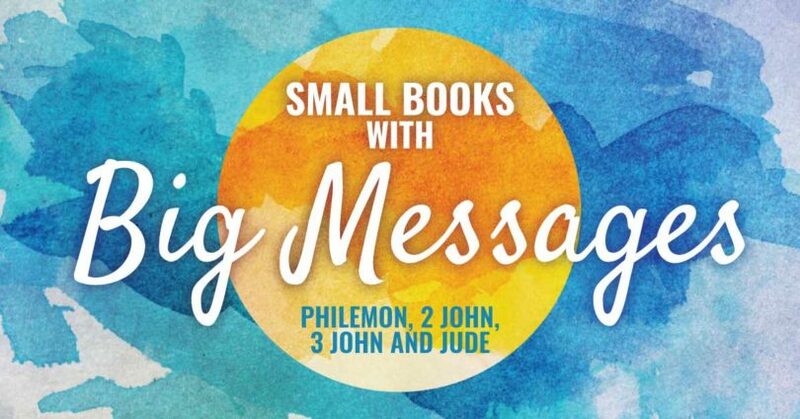 In part 3 of Small Books with Big Messages, Pastor Dan Cox reads from 3 John 1-15. Followers of Jesus must uphold the truth of Jesus and walk according to His commandments. In part 2 of Small Books with Big Messages, Pastor Dan Cox reads from 2 John 1-13. As Christ has reconciled us to God, so believers are to be reconciled to one another. In part 1 of Small Books with Big Messages, Pastor Dan Cox reads from Philemon 1-25.